As an apartment property manager, one of your many responsibilities is to keep your tenants safe. This includes providing them with a fire escape plan created specifically for your apartment complex. Hopefully, you’ll never have to use this plan, but as they say, better safe than sorry. If you’re not sure how to get started, use this guide to help you create an evacuation protocol to give to your tenants. Direct your tenants to abide by the following general guidelines before, during, and after a fire. Note: Always follow your state and local guidelines, but consider these helpful tips. Take photographs of and inventory your valuables. Know where fire extinguishers and pull stations are located, and find out whether your unit has fire sprinklers. Test your smoke alarm monthly. Replace the batteries annually. If the building doesn’t feature fire escapes, consider storing a rope ladder near the window in case you need to evacuate this way. Assess each room in your apartment and make sure each one has two unobstructed escape routes, including windows and doors. 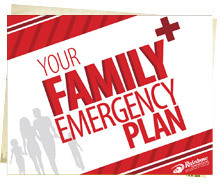 Practice your escape plan with family members and neighbors. Don’t rush out into the hallway. Feel the door with the back of your hand, and if it feels hot, find another way out. Use the stairs, not the elevator. Close all doors behind you as you escape to slow the fire’s spread. Listen carefully to any announcements broadcast over the loudspeakers. If you’re unable to escape, stuff wet towels or linens around the door, and call the fire department to tell them where you are. If possible, open the window and signal for help. Once out of the building, stay out. If you think someone’s trapped inside, notify the fire department. Contact your insurance agent to report the fire, begin the claim process, and secure temporary housing. If you don’t have renter’s insurance, contact the Red Cross for your emergency needs. Only reenter the building to assess the damage and collect any personal belongings once you’ve gotten permission from a fire officer. Keep in close communication with your landlord about who is responsible for paying restoration costs from the fire damage. Have your fire escape plan for tall buildings approved by a fire code official. Post evacuation routes in at least one central location on each floor. Stairwell entrances and elevator areas are two suitable places. Include printouts of the apartment complex fire escape plan in the lease packet when new tenants move in. Redistribute printed information on an annual basis, either at the start of the new year or when individual tenants renew their lease. This allows you to communicate updates and reminders. Ask a fire officer for their name and contact information for future communication. Speak with tenants to make sure they’re safe and have a place to stay. See if anyone can tell you how the fire started. Contact your insurance agent to report the fire and begin the claim process. Contact a fire damage restoration company to start picking up the pieces. If you’re a property manager seeking advice, Rainbow International® can help you create a code-compliant high-rise apartment complex escape plan. Then, if your property is ever damaged in a fire, count on us to deliver the fire restoration services you require.